C.H. 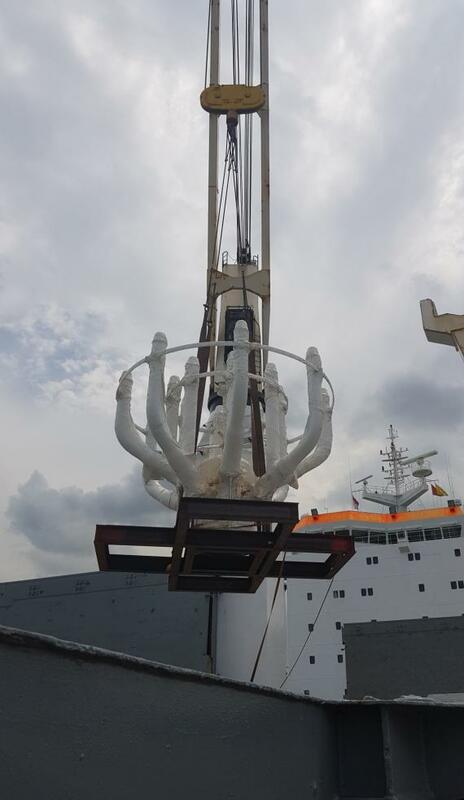 Robinson Project Logistics have recently coordinated the door-to-door shipment of a flare gas tip transported from Broken Arrow (OK) to Sabah in Malaysia as pictured in the gallery below. 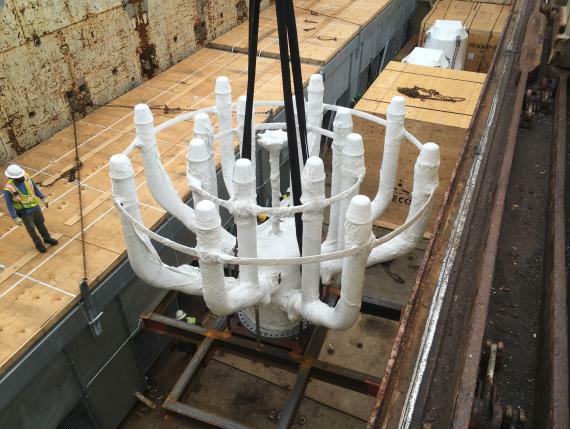 The project required careful planning and management to oversee the safe delivery of the load to site. A C.H. 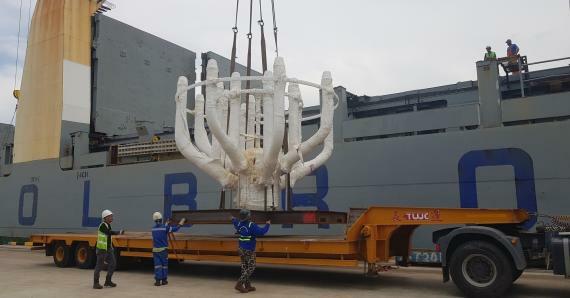 Robinson spokesperson explains; "Our team arranged to have the cargo, which weighed 9,607kg, trucked to the port of Houston, where it was loaded on-board the Chipolbrok ocean vessel and shipped to Singapore. 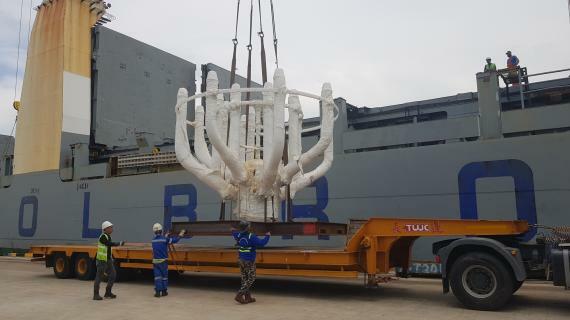 Once in Singapore, it was placed on an open deck barge to Kota Kinabalu Port where the cargo was trucked by a special route due to the cargo's size (5.05 x 4.9 x 4.3m) to the final destination in Sabah, Malaysia. Project management was a huge key to the success of this shipment and our project logistics specialists were at each port to oversee every leg of the delivery. 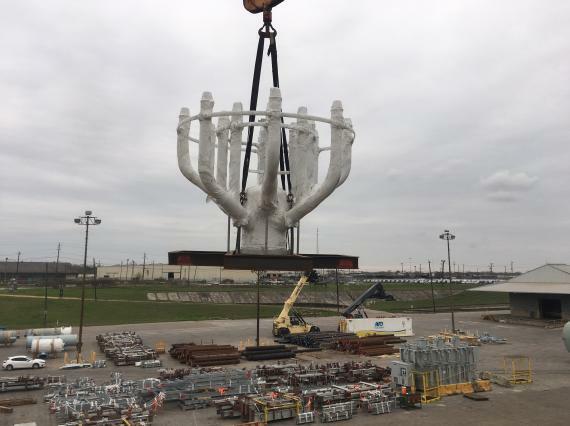 At Houston Port, Aaron Holloway, our Project Logistics Manager, realized that the lifting instructions were not complete and the initial plan could cause the piece to tip over and hit the ground. 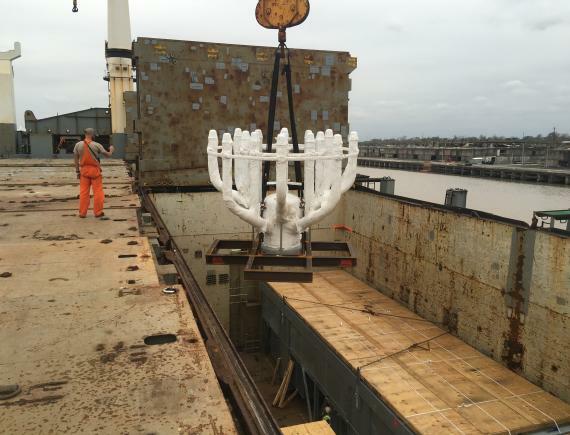 Aaron consulted with the surveyor and devised a more secure lifting method, which required the crew to belly sling the piece using the fork lift holes under the skid to safely lift and load it into the hold of the vessel. Timing was critical as the ship was departing in three hours, but the solution was quickly determined and there was no holdup to the vessel's sailing schedule."